Epiacum fort is on a working farm, and there are sheep and cattle in the fields. To help John and Ian the farmers, please leave gates as you find them and keep all dogs on a lead. Where is Epiacum Roman Fort? The fort is on Castle Nook and Whitlow farm, and is easily reached walking from our car park on the A689 (Alston to Brampton road). The nearest postcode is CA9 3BG. The Pennine Way and Isaac’s Tea Trail walking routes pass the side of the site, and you can also walk up from the Kirkhaugh station on South Tynedale Railway and the South Tyne Trail. Epiacum is open all year round. The site is designated “Open Access”and we welcome visitors and are working hard to help you understand the site more fully, whatever age you are! Our new car park opened in 2016, and is signposted from the main road. There are two walk trails leaflets (summertime only) and two digital walks you can download to your phone. 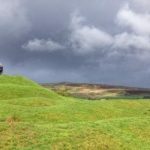 The first is a free introduction to the site, and the second is an in-depth guide to the archaeology of the Roman Fort. 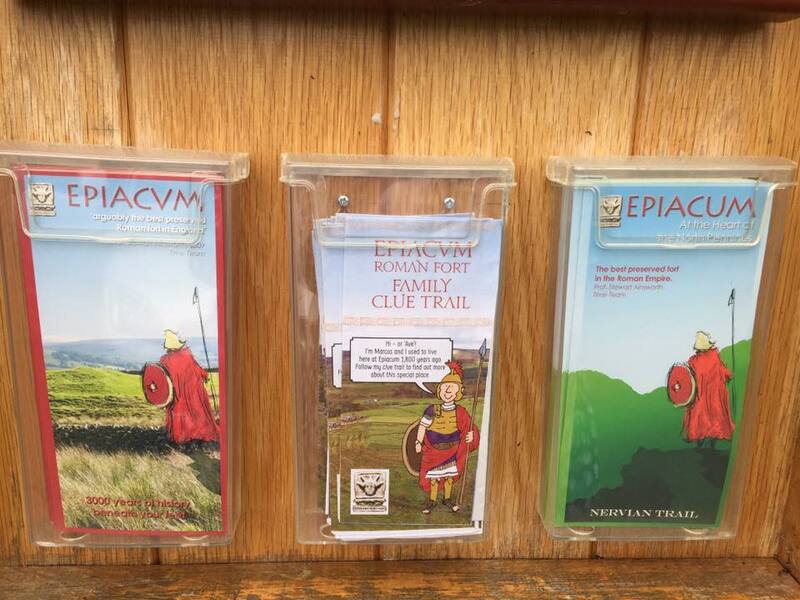 Nervian Trail – The Nervians were the last Roman soldiers to inhabit Epiacum, and our trail leaflet will guide you to all the major features we have identified (so far!). Look out for the painted white stones marking the key areas of the Fort. Family Clue Trail – following the same route as the Nervian Trail, this clue trail helps younger visitors to engage with the site and the surrounding landscape. It’s a great way to spend a couple of hours. 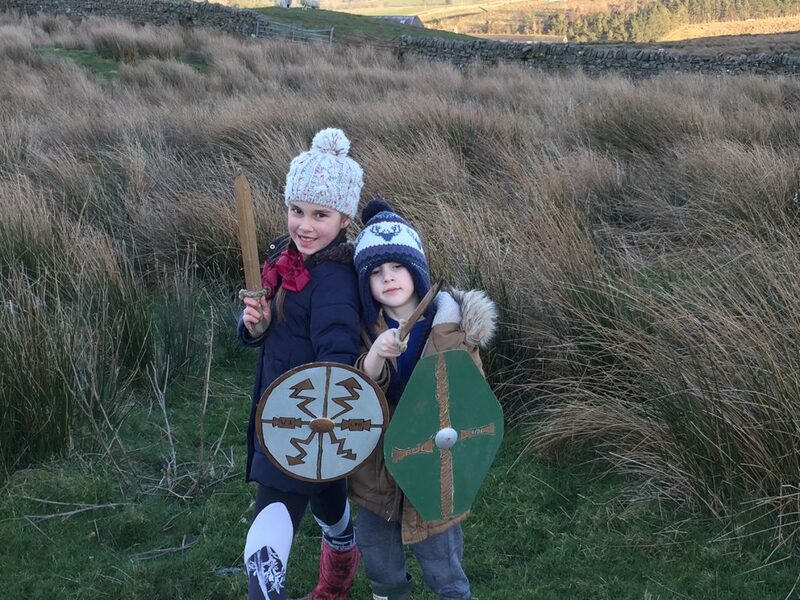 Swords and shields (sorry – child size only) are available to borrow in the car park store to help add some fun and encourage imaginative play. Summer only. Both the Nervian trail and Clue trail were written before we took down the wall that bisected the fort – you can still enjoy them and we hope to be updating them soon! 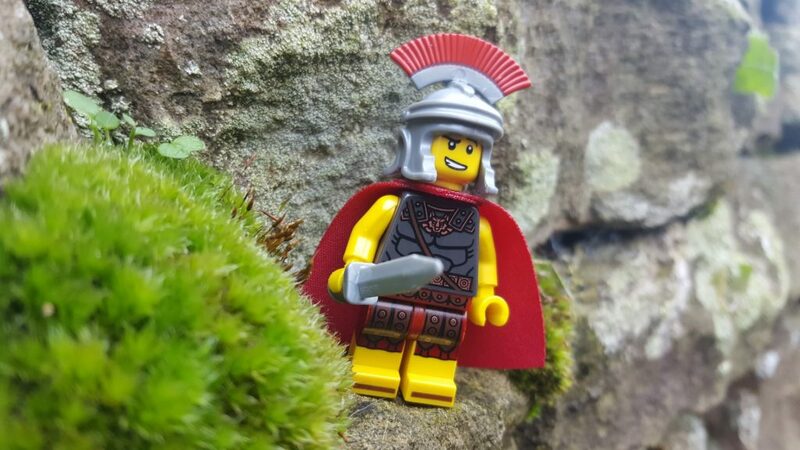 Geocaching – we have our own geocache Epiacum View hidden on site and our trackable minifigure, Centurion Marcus. 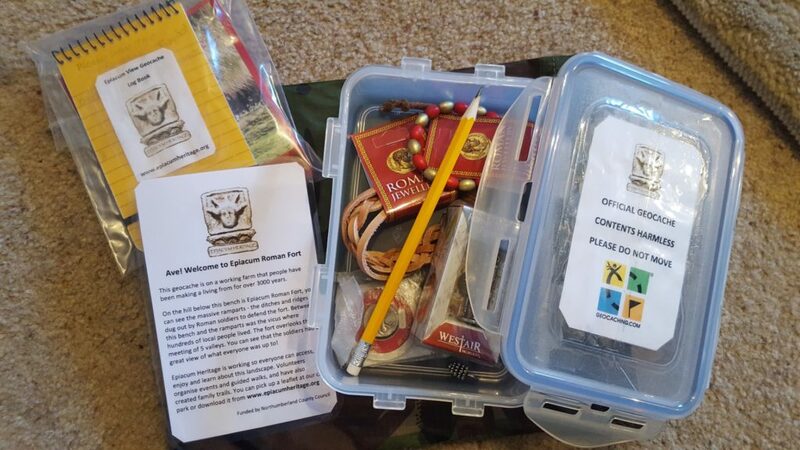 Go to Geocaching.com to find out how to play this GPS treasure hunting game. Centurion Marcus, our minifigure, has a special message for any young recruits. Please leave an additional donation if you take one or more of our leaflets, so that we can reprint them for other visitors to enjoy. We are always pleased to arrange guided tours for groups upon request. Please contact us if you would like to arrange a group visit. At the moment the nearest public toilets, petrol, shops and cafes are two miles south in Alston town centre. The views are spectacular and the history of this place is incredible, but do come prepared to get mucky and wet! The ground is soft, peaty grassland and is frequently extremely muddy, uneven, steep and slippery, and you can be very exposed to the weather. There will be free roaming farm animals, so please keep dogs on a lead and leave gates as you find them. There is no shelter, toilets or refreshments available on the site. You should definitely consider wearing sturdy waterproof footwear and water and windproof clothing and bring a snack and drink. Make sure you dress for the weather and be prepared for it to change swiftly! PLEASE LEAVE OBJECTS WHERE YOU FIND THEM! You are welcome to take photographs, and to tell us that you have found something (message us on @epiacum on twitter or facebook), but it is ILLEGAL TO DIG OR REMOVE AN ITEM from the scheduled site. 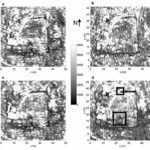 If you move something, we loose most of the information about it, because we can’t know for sure which part of the site it came from – there are so many layers of history here, we really need very precise contexts! How far is it from the car park to the site and is it very hilly ? Are there cattle in the fields to day ? My husband says he is moving the cattle today from the actual Roman Fort but there may be a few along the Pennine way where the interpretation panels are – you will see them before you et to them if they are around and choose whether to proceed to that point of the trail. The sun is shining – it will be a brilliant day to visit if you wish to! Are there any toilet or cafe facilities on site and can I bring my dog? Thanks for your enquiry. At this point in time, we don’t have any facilities (but watch this space!). However, well behaved dogs on a lead are very welcome. It is a working hill farm. There are two visitor trails (The Nervian Trail and a Family Trail), both taking the same route, which will take around an hour. The ground is quite wet and muddy underfoot just now , so do come prepared!